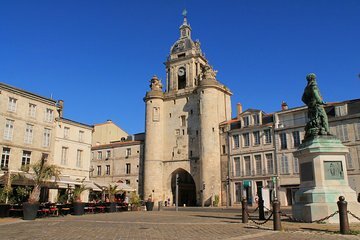 Weave through the arcaded pathways and limestone plazas of historic La Rochelle on a fun Segway tour! For approximately 75 minutes, you’ll follow an expert guide on a quality sightseeing trip through ‘The White City,’ formerly one of France’s principal seaports. Visit local landmarks, stop for snapshots of picturesque port scenes and brilliant architecture, and hear fascinating stories such as the city’s famous 17th-century Siege of La Rochelle. See more of the city than you would on a walking tour — a great value! First time Segway riders, So much fun! Very easy to learn and ride. La Rochelle is a beautiful town and a great one for the Segway as we were on paths for the majority of the tour. Segway gave us a very good overview of the city so we knew where to head back to when it was over. Only wish we would have booked a longer session, as an hour went by very fast, and we were really enjoying riding the segway.